The return—some say resurrection--of Demon Carburetion is the big news in carburetors for 2012. Summit Racing is pleased to announce that the new Road Demon, Speed Demon, and Mighty Demon carburetors are in stock for immediate shipment. Better Demons mean better performance. 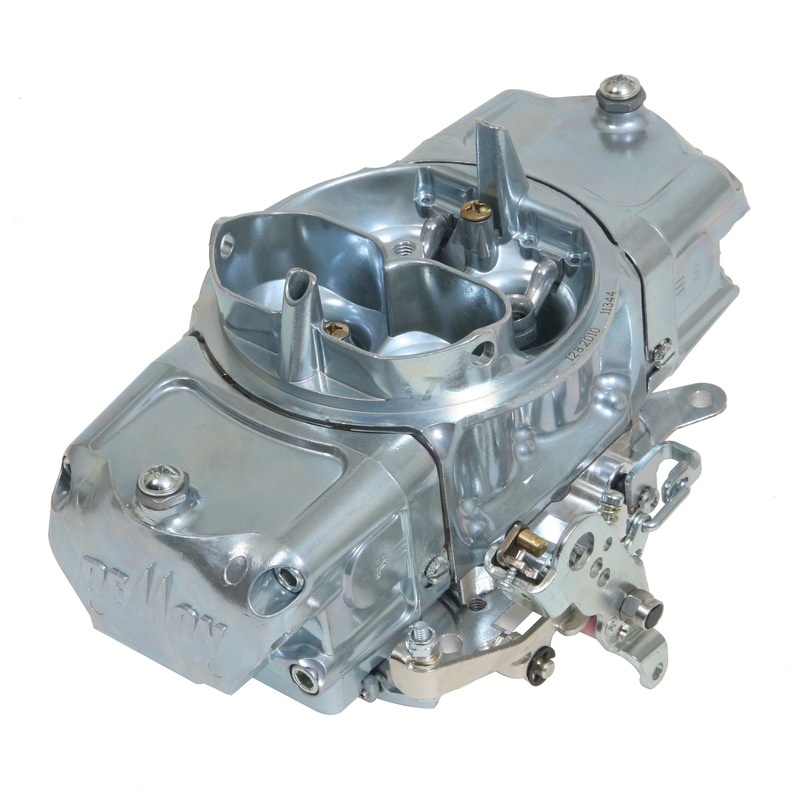 New Demon Carburetion made huge investments in updated tooling, state-of-the-art manufacturing processes, and product improvements to produce high-quality, easy to tune carburetors. The Road Demon is calibrated for use on stock and lightly-modified six-cylinder and V8 engines. They have quick-change vacuum secondaries, an automatic transmission kickdown, and a fuel feed line for easy installation. The Speed Demon is ideal for musclecars, street machines, and towing rigs. The Speed Demons have have down leg boosters and a choice of vacuum or mechanical secondaries. The Mighty Demon is perfect for high-compression engines with performance cylinder heads, and a high-flow intake manifold, They have a milled choke horn, replaceable air bleeds and idle feed restrictors and mechanical secondaries. The Speed Demons and Mighty Demons have the billet aluminum Idle-Eze™ baseplate with a special air valve that allows fine-tuning of the idle speed by metering additional air into the intake manifold.